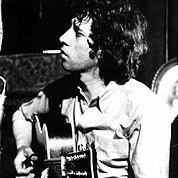 Herbert “Bert” Jansch was a Scottish folk musician and founding member of the band Pentangle. He was born in Glasgow and came to prominence in London in the 1960s, as an acoustic guitarist, as well as a singer-songwriter. He recorded at least 25 albums and toured extensively from the 1960s to the 21st century. 20th century. Acoustic. 13 Measures. 2 Pages. Time Signature 4/4.